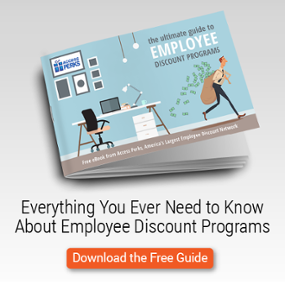 What Does “Discover the Difference” Mean in Employee Discount Programs? In case you haven’t noticed, we’re pretty big on employee engagement. It can’t be understated just how crucial dialed-in employees are to creating and keeping happy customers. This past June our team exhibited at the Society of Human Resource Managers (SHRM) Conference in Las Vegas. We were overwhelmed at the positive reception Access Perks received just a few weeks after we officially unveiled it to the world. While there we asked people to "Discover the Difference" between Access Perks and other discount programs. Sure, you probably know by now that we have the largest private discount network in the nation, with over 350,000 merchant locations. But there’s more to the network than just sheer mass - it’s built and presented to maximize relevance and promote everyday usage. Specifically, here’s how the composition and execution of Access Perks is so much different than any other discount programs. 1. We’ve got local offers! People still spend the overwhelming majority of their dollars in brick-and-mortar locations close to home. Yet most discount programs are comprised entirely of online offers because, well, contracting with individual businesses is hard work (and there’s money to be made in affiliate revenue). The benefit of working with Access is we’ve been partnering with local businesses across the country for over 30 years, and we have a couple hundred thousand of them on our network. When your employees are saving a few bucks on their daily trip to the burger joint next to the office, you’ll see the Perks difference in a very beneficial way. Why pay for something that’s freely available to the public? That’s what a lot of discount programs are asking employers to do. Many of their deals are just repackaged offers from daily deal sites, deals licensed from the weekly mailers we all get, or offers pulled from commissionable advertising networks that are available to every relevant deals site or blog in the country. The deals are decent, it’s just that everyone gets them. Over the course of 30 years, we’ve developed thousands of direct relationships that produce thousands of private offers. That’s reflected in our ongoing offer base, but also frequent spurt promotions that simply can’t be promoted to the public at large. The fact that merchants trust us to keep their deals private and accessible to only a few select groups, means we tend to get local offers that are almost always better than what you can find anywhere else. As we’ve alluded to, part of getting local and exclusive offers is having people dedicated to serving merchants. We have a team that does nothing but merchant relations. They’re constantly sourcing offers, working with merchants on new offers, working with clients and users to find out which merchants people want to save with, etc. Our network is the largest, and we never stop making it bigger or better. Perhaps just as importantly, we also have staff dedicated to answering calls from your employees. If they have questions about the website, or an issue redeeming a deal, they have humans who will solve their issues. See, here’s a photo of some of our customer service humans. This is a point many of our employer groups get excited about. Many of them have worked with discount programs with no support. In every instance, the calls began pouring in to HR. So yes, having actual, dedicated humans is a nice advantage to working with Access. Mobile coupons are becoming a big deal very, very quickly. This year, 96% of the country will use their mobile devices to look for deals. Even better, mobile coupons have piqued the interest of groups that have otherwise been ambivalent toward coupons, including men and Millennials. Most employee discount programs don’t have mobile components, or they have mobile coupons that can’t actually be redeemed on a mobile device. The Access difference? 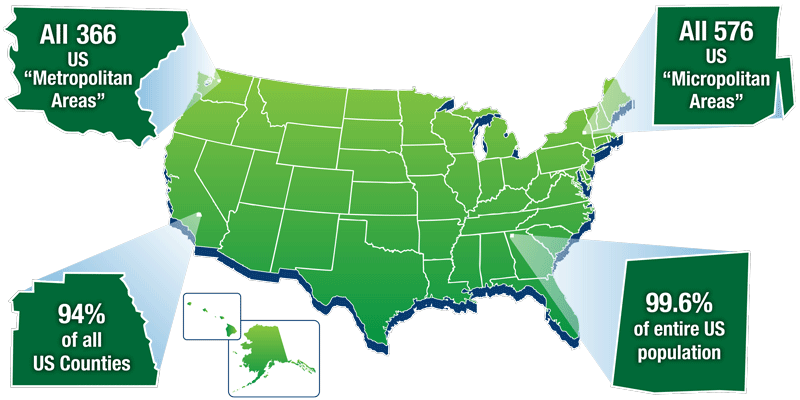 150,000 “show your phone” offers, with local deals in the top 500 US markets. On top of all that other cool differences we mentioned, this one may matter the most. Access Perks is scaleable. It can work with an office of 5 or 50,000. That’s because our cost is about the cost of a candy bar per employee, per month. We get it, benefits are ridiculously expensive. But you spend that money because your employees are worth it. Well, with Access Perks, you get the high-usage, relevant employee perk without the huge price tag. Plus, the program has the best content and support in the business. It’s a premium perk, without paying a premium. What’s the goal of any employee benefit? The answer, of course, is to add value to the employee; to incentivize them to invest themselves and work hard on an ongoing basis. Access Perks is designed to build engagement through everyday usage. It’s built for relevance - anyone can find nearby savings with our network. We’ve sourced the offer from the local taco joint because we want people to save money there and be happy, and we want their employers to benefit from that happiness. If you’re interested in “discovering the difference,” just click here and fill out the form.